Neovii continues to strengthen its leadership team and capabilities with the appointment of Richard Sachse as Global Chief Scientific Officer. With the appointment of Dr. Sachse, Neovii has set up a Global Scientific Department which comprises all regulatory, medical, and development activities globally. Neovii’s CEO Juergen Pohle commented: “By establishing a Global Scientific Department, Neovii makes another step forward to become a leading biopharmaceutical company in the transplantation segment.” He added: “We are very excited that Richard joins Neovii and will establish the new Global Scientific Department. 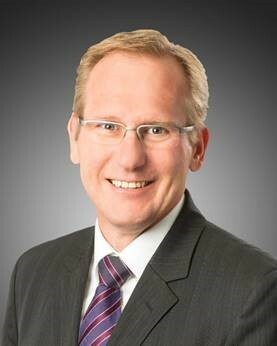 His deep understanding and long-term experience in clinical development and regulatory activities, as well as his know-how and strong leadership skills, make him the right person to push this role forward and to drive the business into our next chapter.” Dr. Sachse will also join Neovii’s Global Leadership Team. Dr. Sachse previously held the position of Senior Vice President, Chief Scientific Officer, and Chief Medical Officer at Æterna Zentaris. In this role Dr. Sachse succeeded in designing and completing development programs for FDA drug approval. He draws on more than 20 years of experience in the pharmaceutical industry not only at Æterna Zentaris, but also with Boehringer Ingelheim, UCB, Schwarz Biosciences, Peptor, and Bayer. Neovii also appointed former Pfizer executive Alfred Doucette as Global CFO at the beginning of the year. Alfred Doucette has held several senior finance positions within Pfizer and was most recently the Commercial Director for Pfizer Consumer Healthcare for the SEE/CIS/Baltics/Greece & Cyprus, Israel and Turkey regions, bringing a huge wealth of experience in financial management. Neovii Pharmaceuticals AG’s global headquarters is located in Rapperswil, Switzerland and has a branch office in Lexingtion MA, USA. Its biotechnology manufacturing facility is in Graefelfing, Germany. Neovii’s products are available in over 50 countries worldwide. For further information, please visit www.neovii.com.